February is Black History Month and there are thousands of unsung heroes in almost every community who worked for equality in education, representation and societal mobility. Many were simply good people providing for their families in a sometimes hostile environment. 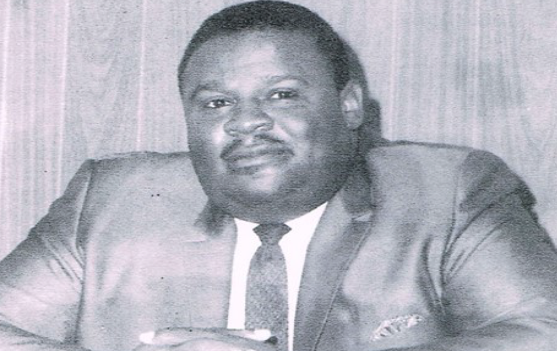 One of those heroes left a lasting legacy in Warner Robins: Oscar Thomie. Three of his sons, Oscar Jr., Roy and Randolph are members of Fellowship. The senior Thomie and his wife Minnie had eight children, evenly divided between girls and boys. Quite a family for a man who grew up as an only child though he had a brother who died before he was born and whose father died when he was six-years-old. In late January 1970, The Houston NAACP agreed to delay the total integration of schools that began in 1968. The last phase included transferring 130 teachers, evenly divided between black and white to other schools until the start of the next school year in September even though the court order required the schools to totally integrate by February 1. Bibb County schools had asked its NAACP for the same consideration but it refused. Thomie agreed to the delay because, as reported by The Macon Telegraph, “It would be best for the students of all races.” The state NAACP criticized the Houston County branch for this move saying the county had 15 years to prepare. Always measured, Thomie replied to the criticism with grace. “The delay is best for the people of Houston County,” he said. “But that does not mean a delay would work in any other part of the state.” Looking back, that single act may be one of the reasons Houston County schools didn’t have the white flight from public education as was experienced by some other counties — including Bibb. In remembering their father, Oscar Jr. said “There was never a dull moment.” He remembers his father always telling him as they rode to small communities of Elko, Perry and Klondike to help people, “Say what you mean. Mean what you say.” When Oscar Jr. was headed to college his father told him: “Think about the consequences. Don’t mess up my name.” “He was my hero,” said Roy. “He was my Superman. All the other stuff he did is out there, but when he died (Father’s Day 1995) my security blanket was gone. But he raised me in such a way that it all became clear.” Roy Thomie lost his father, father in-law and sister within a year. Oscar Thomie’s legacy is long lasting. Not just because of the work he did bringing equal rights to Houston County, but by being the father, protector and provider for his family and when all is said and done. That’s the history that’s important.